Session 1 - Micro & Mini RippersMicro and Mini Rippers are for the kids starting out windsurfing who don't need a sea breeze to have a great time on the water. The focus of the sessions will be learning the basics and having fun. Session 2 - RippersRippers have mastered the basics and want to get into foot straps, harness and water starting. Sessions will focus on these skills and fun. Mini races last year proved a hit and will be on the cards again this year. Later in the season, we might even head to the ocean for a session or two. Lunch and DrinksWe will feed the hungry masses again this year in return for a gold coin donation and a hand turning sausages. We offer the first session free and without the need to become a member. So come down to Melville and give windsurfing a go. We will have a kids rig to borrow along with a couple of PFDs. 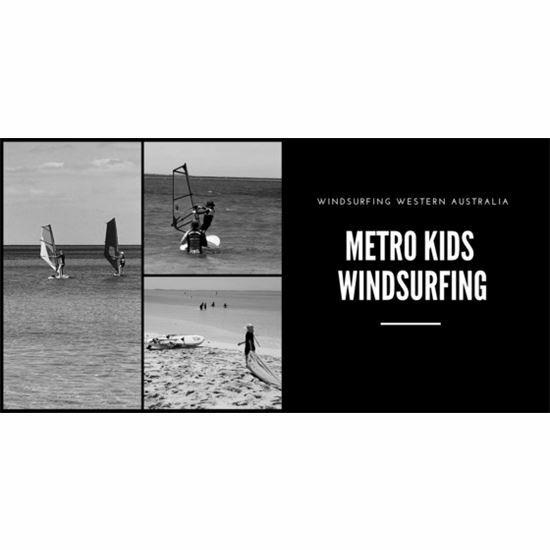 Once hooked and to continue sailing in the Metro Sailing Program, ALL kids need to be a member of Windsurfing Western Australia. A Kids Membership is $35 or if there is more than one sailor in the family we have a Family Membership (parents $85, kids $30).